You want to know how to start a blog and don’t know where to begin? Great! I created this guide for you! 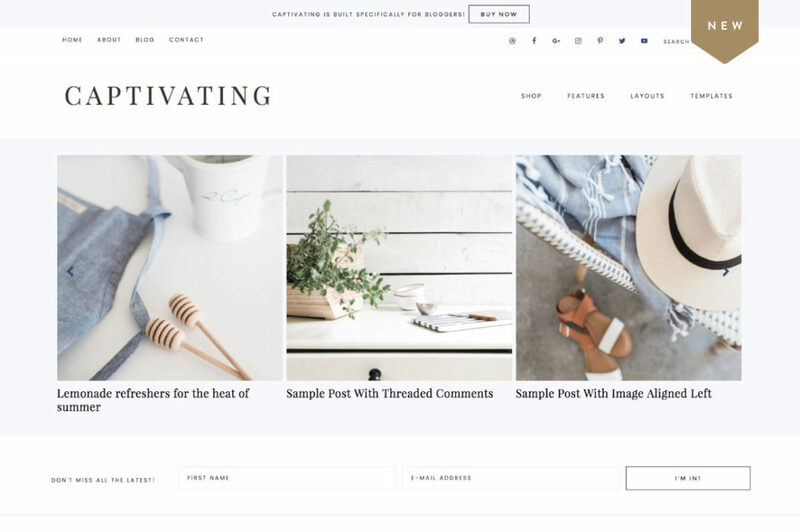 Whether you’re trying out blogging for the first time or an old-timer who fell off the wagon for a while and want to get back into blogging, the concept of starting a new blog can be quite overwhelming. In fact, the whole process is probably making you want to quit before you even began! As a side story, I have been blogging for 18 years (say what?!) and have built a career and a business around blogging and designing blogs. That said, a lot of people come to me for help because they think that only a blog “expert” or a web designer can set up a blog. I’m here to tell you today that NO, you don’t need to be an expert to set up a blog the right way. There’s definitely a process involved but this is not rocket science. If you can read, follow instructions, fill up some forms and upload some files, then you can set up your blog right here, right now. Today, if you want! But wait, there’s a right way to start a blog? There is no ONE right way, yes, but there are several WRONG ways that will cost you money and days (maybe even months) to correct. I personally made really bad investments in my quest for the right tools to keep my blog(s) going. Although I’m one to appreciate mistakes (because you learn things from them you wouldn’t have learned otherwise), I also wish I didn’t spend so much time and money experimenting and just trying things out. As for you, you don’t need to make the same mistakes I made. And you sure don’t need to waste decades of your life to reinvent the wheel. With this comprehensive guide, I’ll guide you through launching your blog minus all the guesswork. And I’m not talking about launching just another WordPress blog. I’m talking about launching a blog that you’ll love using and sharing for years to come. FULL DISCLOSURE: This post contains affiliate links, which means, at no extra cost to you, I may earn a commission when you purchase through my links. This is how I’m able to keep most of my content free. Read my full disclosure policy here. If you’re still on the fence about starting a blog, I took the liberty of answering a couple of FAQs. There are many reasons why you’d want to start a blog today, more than ever. 1. To make money blogging. Blogging has become a legit way to make a living. Whether full-time or part-time, there are many ways to make money blogging. In fact, blogging can be a lucrative profession, with professional bloggers making a lot more than the average income. 2. To promote a business. Others don’t earn directly from blogging, but they use their blogs as a tool to promote existing businesses. Blogging is a cost-efficient way to increase search engine visibility and to establish thought leadership, which is why many digital marketers use blogging as a strategy. 3. To use for ministry or advocacy. Many churches, pastors, and non-profit organizations use blogs to inspire, encourage, and minister to their communities. 4. To be a published author. Aside from having an accessible digital space to showcase your written work (and to practice writing), publishers nowadays require authors to have an existing audience and an established online presence. This makes it easier to sell books. Alternately, if you already have an existing following, you can self-publish your own book instead of waiting for a publisher to discover you. In fact, many bloggers/influencers prefer this approach. 5. For fun. Others blog to document milestones and share stories, or just for the fun of it, without any intentions of making money from blogging. This is okay too, and yes, you are free to do this. However, chances are you wouldn’t really put much effort into growing or maintaining your blog when you’re not benefiting from it in a monetary or professional way. remember that blogging with purpose means creating content that doesn’t only benefit others, but more importantly, yourself. If you just want to share stories for the fun of it, social media may be a better place for you to do that. Can I use free blogging platforms? You can, but I won’t recommend it. To start with, what’s your purpose for blogging? If you intend to turn it into a career or to make money from it, investing in a domain and hosting is imperative. No questions. First of all, advertisers and affiliates (two ways to make money from blogging) won’t approve your application if you’re not on a self-hosted blog. Second, having your own domain and hosting allows you freedom on so many levels. Free blogs come with limited templates and features, and you have no choice but to work around those limitations. Moreover, you technically don’t “own” your content because it’s on another brand’s platform. So if you’re serious about your creative and intellectual property, the best way to protect it is to have your content on a space that’s completely yours. Third, if your content is on a free blogging platform, your domain name will have a “medium.com”, “.wordpress.com” or “.blogspot.com” attached to it, which isn’t good either if you want to use your blog for professional and business purposes. Finally, when you invest money into something (in this case, your blog), you get a sense of ownership and responsibility. In a way it makes you work harder to grow your blog, to consistently create content, and eventually get some ROI. If you follow this guide, your basic setup fee would be around $65. 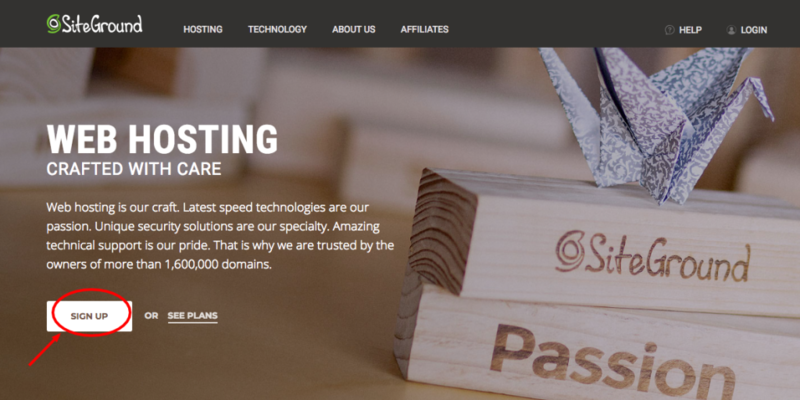 What is a web host and a domain name? Web hosting and domain name are two different things but are often mistaken for the other. In layman’s term, web hosting is the space on the web where your website is stored, while your domain name is your website’s unique address. 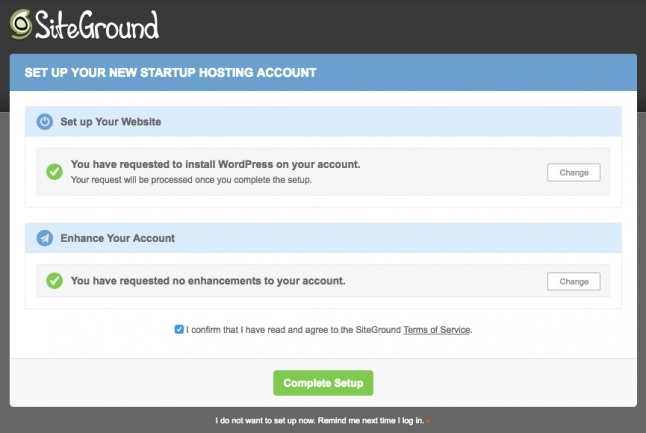 Example: This website is hosted by Siteground, and my domain name is www.thepurposeblog.com. 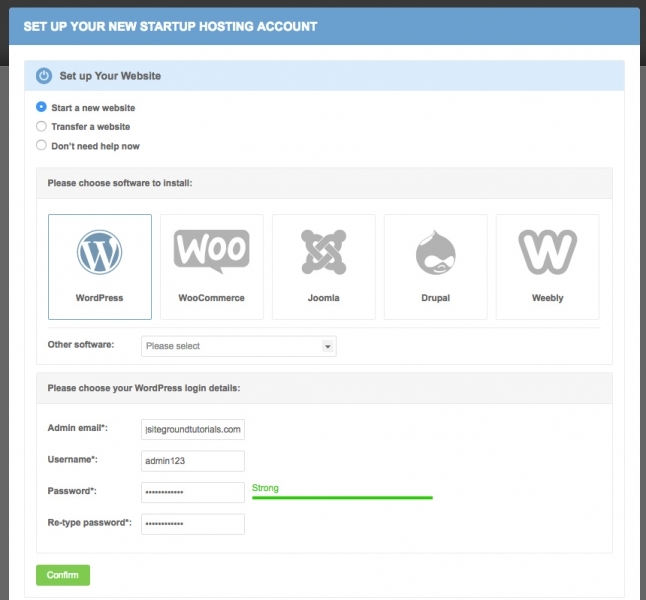 When starting a self-hosted blog, you need both web hosting and domain name. Here are 7 steps to launch your blog. Know your purpose for blogging. Decide on your domain name. Get the right web hosting. Get the essential pages and plugins up. Click to jump to each step. 1Know your purpose for blogging. If there’s one thing I learned about blogging all these years, it’s that purpose should always precede passion and profit. Sure, passion is always a good place to start. But it is purpose that keeps you going even when passion or profit are running low. It brings meaning to your craft and gives you direction. It allows you to connect with your readers and make a difference in their lives. And this is why I believe that any blog (or any endeavor for that matter) should begin and operate from a place of purpose. I mean, you guys, this is what The Purpose Blog is all about. Knowing your purpose for blogging is how you’ll be able to consistently and strategically create content, grow your blog, and make it last for years and years to come. So how do you know your purpose in blogging? Cast a vision. Start with envisioning how you want your life to look like in 3-5 years and what role your blog to play in your life or business. Know yourself. Think about your life story. What brought you to this point in your life? What are the values that matter to you? Remember that your personal story and experiences are the very things that will make your blog content authentic and relatable. Set goals. Why do you want to blog? Just for fun? Or do you want to explore the opportunity of making this a full-time job? Do you want your blog to play a part in your life’s purpose? Niche down. Explore your interests, skills, and passions. You’ll want to write about topics that come naturally to you. This will be your blog’s niche. Profile your readers. Who do you want to reach with your content? What are their dreams? What are their challenges? Where do they hang out? If you want to deep dive into this process, you can also join my free Blogging with Purpose e-course. 2Decide on your domain name. I know what you’re thinking. Do you really need your own domain name? Can’t you just use a .wordpress.com subdomain or any of those free blogging platforms? The straight answer is YES, you need your own domain name if you’re serious about starting a blog the right way. You want to eventually make money off your blog. You want to use your blog to promote an existing business or a potential business. You want to build up your personal brand and establish yourself as a thought leader in your passion or area of expertise. Having your own domain name speaks a handful about your intentions for your blog. Let’s ponder upon that last sentence for a moment, shall we? When you invest in your blog from day one, it becomes of value to you. It also puts a bit of pressure on yourself, which can be a good thing if you want to motivate yourself to blog purposefully. With that said, yes, definitely register a domain and set up a self-hosted blog! Make a list of your domain name ideas, giving room for a few options in case what you want is not anymore available. 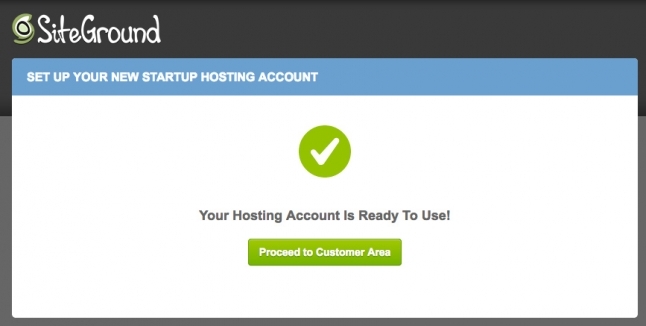 When you’re ready with your list, it’s time to sign up for a web host! 3Get the right web hosting. Web hosting and domain name are two different things but are often mistaken for the other. In layman’s term, web hosting is the space on the web where your website is stored, while your domain name is your website’s unique address. Example: This website is hosted by Siteground, and my domain name is www.thepurposeblog.com. On that note, I HIGHLY RECOMMEND that you get your domain name and web hosting from Siteground. Read my full honest review of Siteground here. Trust me when I say I’ve done the legwork, and I’ve never been more happy about finally settling down at Siteground. 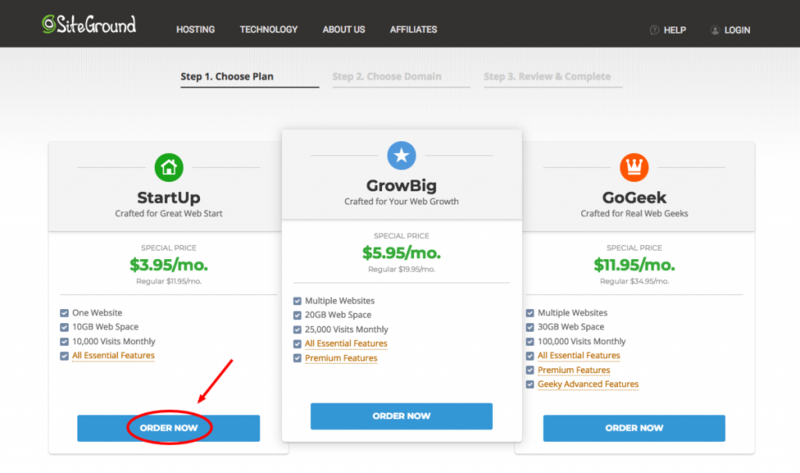 Pricing starts as low as $3.95 per month for the first year (that’s like $64, web hosting and domain included). Coming from a more expensive web hosting provider (Dreamhost), I love that the initial investment for Siteground is just right for beginners. You’re not paying for server space that you’re not using yet, and you can just grow the space as needed. So, here’s how to start blogging with Siteground! That link will take you to the Siteground landing page where you can click “Sign Up” button to begin the process. Step one. Choose a plan. The StartUp Package works great for starters, up to 10,000 monthly visits. When your blog traffic starts growing to more than 10,000 page views (that’s the goal right??! ), you can easily upgrade to the next plan. The GrowBig and GoGeek plans are ideal for advanced bloggers. So if you have an existing blog you want to migrate or you plan on having multiple domain names down the line, choose the higher packages. Once you click the ORDER NOW button, you’ll arrive at the page that tells you to type in your chosen domain name. 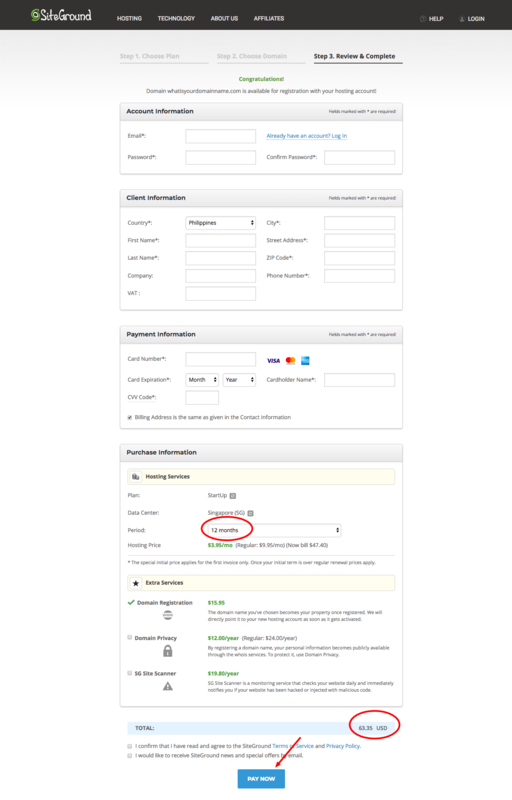 It will verify if the domain name you picked is available, after which you can proceed with the registration details. Step 3. Review & Complete. And then you just have to complete your account information and other payment details. Fill up the form and make sure that you choose the 12 month period before you check out. After payment, you’ll receive all the billing info and other registration effects via email. You should also receive your login details via email so keep watch for those Welcome emails! One of those initial emails will take you to your Siteground dashboard. There are other Content Management Systems or blog content platforms around (i.e. 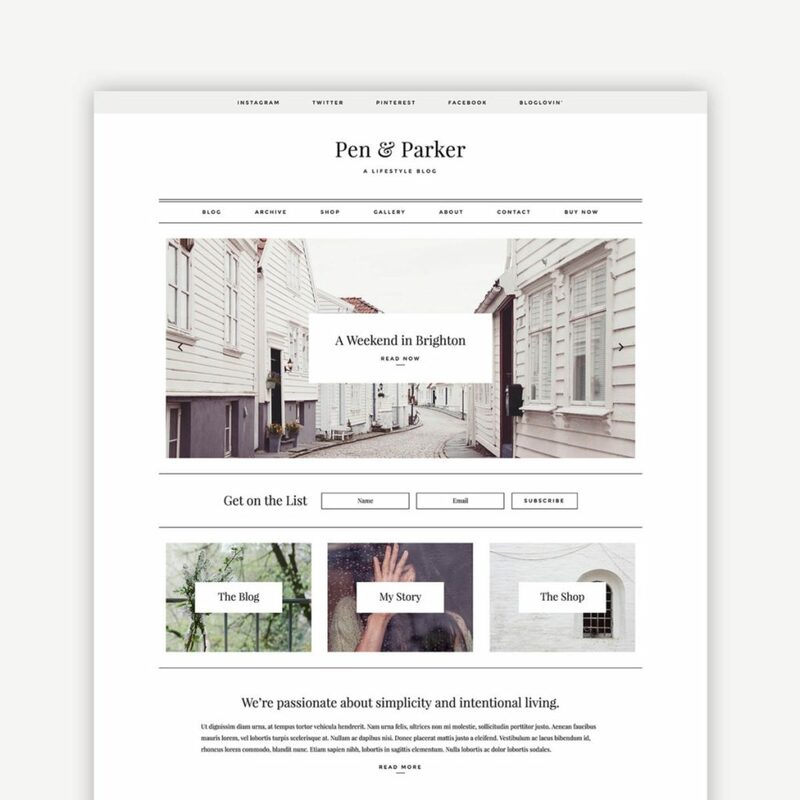 Squarespace, Blogger, to name a few). But I will not go around in circles anymore and just tell you straight out—choose WORDPRESS. In all my years in the industry, I always recommend WordPress as a blogging platform because it’s FREE, it’s SEO-ready, and it has a massive community of third-party plugin developers and theme designers. And because it’s an open-source software, it has room for all sorts of optimization and customization that are not possible with other blogging platforms. Once you log in to your Siteground dashboard, you’ll see an alert like this, which will take you through the setup wizard. Just follow the wizard and you’ll be done in a jiffy! “Start a new website” is default, for when you’re starting a new blog. But if you’re migrating an old blog over, choose “Transfer a website” instead. Fill up the admin email, then choose a username and password that you can remember easily. Confirm your setup and there you go! Your WordPress blog is done! It’s really easy to install WordPress through Siteground’s setup wizard, but if you find yourself lost in the process at any given point, Siteground has a 24/7 support that will walk you through the process. Others will tell you to skip this part and just come back to it later. But as a creative person, I find that having a blog I love looking at helps me in my creative process. Not to mention, a good aesthetic attracts readers and keeps them on your website too! 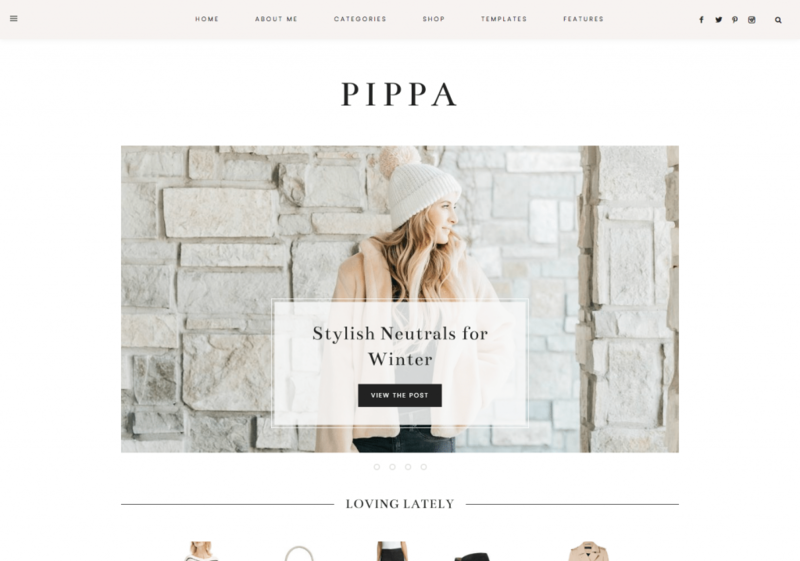 I know hiring a web designer can be costly, and as a web designer myself, I understand the amount of work that goes into customizing blog designs, and why it costs so much. 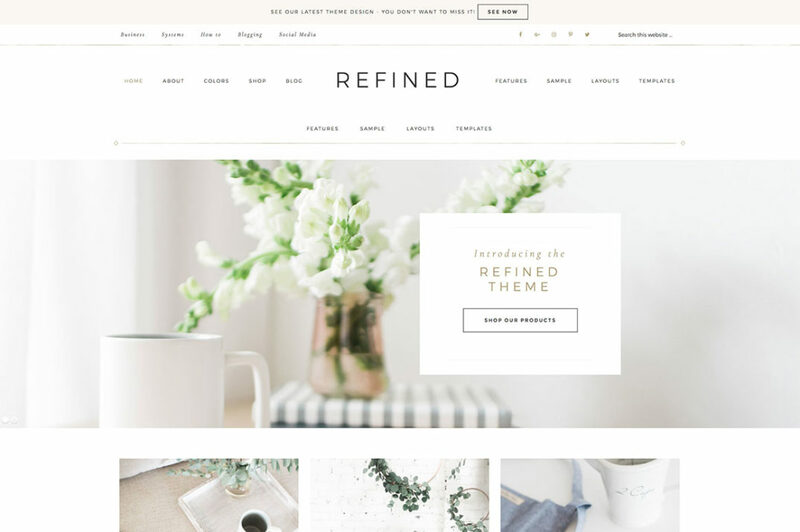 So if you don’t have the budget yet for a web designer, investing in a premium WordPress theme is your next best bet. 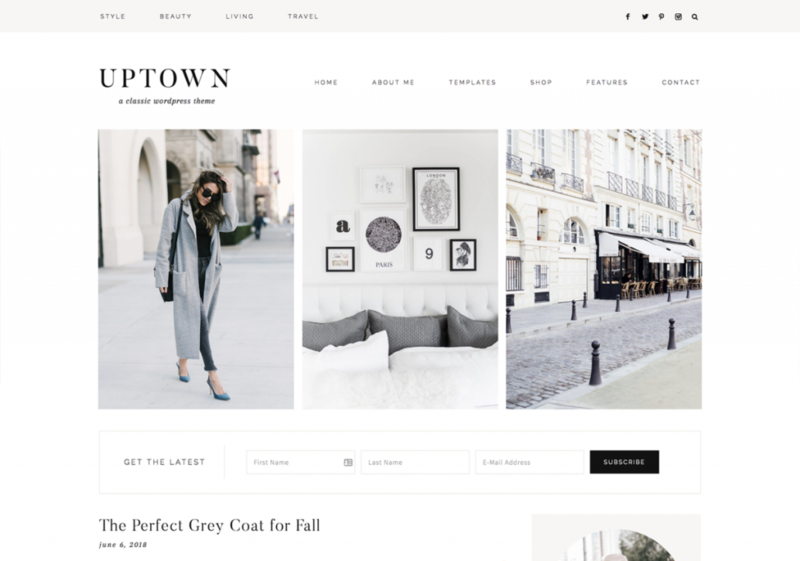 Good thing for us, there are many premium WordPress themes in the market that are ready to use and easy to install. If you love classic and sophisticated, 17th Avenue is for you. This was actually a recent discovery for me but already a favorite! Highly recommended for lifestyle and beauty bloggers, as well as for personal blogs. My other blog, Chasingdreams.net, is designed with a theme from 17th Avenue. LOVE THEIR THEMES. 6Get those essential pages and plugins up. Depending on your purpose for blogging or the type of blog you want to create, your main pages and plugins will also vary. I took the liberty of putting together a list of only the essentials. From the main pages and website elements that will make your blog looking like a pro, to the essential plugins that will keep your blog running like a well-oiled machine. 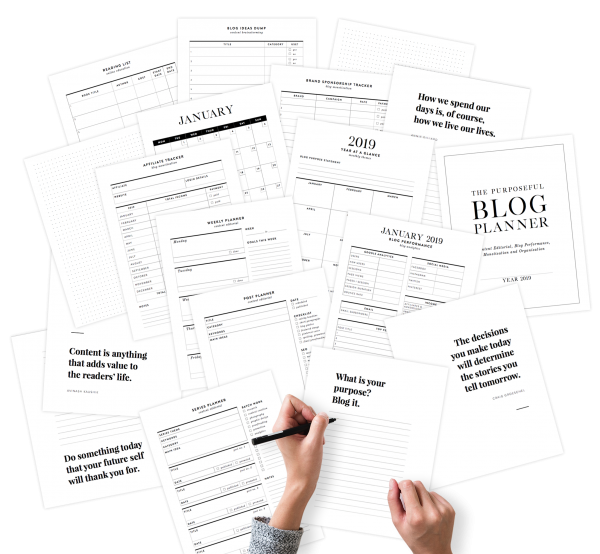 Download the Blog Launch Checklist Here! Print-ready, if you’re the type who likes making lists and checking it twice. You’re welcome! Search Engine Optimisation. I like using SEO Yoast to make sure my blog is optimized for search engines. Having a clear hierarchy of your blog pages is also important in the way search engines read your website. This means having your main pages set up so you can keep on referencing them, and making sure these important pages are linked sitewide—on your navigation, sidebar, or footer. User Experience and Usability. Speed, functionality, browser compatibility, readability—these are all important both SEO and user experience. You don’t only want search engines to crawl your blog pages, you also want to make it easy for your readers to consume your content and to find what they’re looking for. 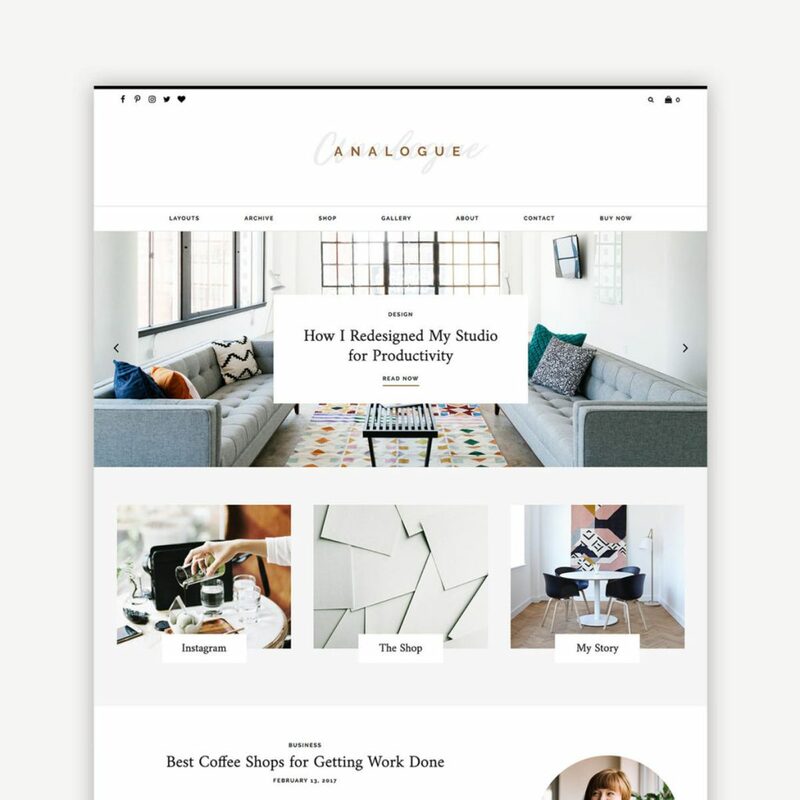 Pro-tip: When you buy a premium WordPress theme from the theme shops I listed above, your chosen theme package already comes with ready-to-install plugins you need to make your blog look like a pro. And there you go! Your blog is ready, and now it’s your turn to put that purpose-driven content strategy into action and start blogging your heart out.